It’s a familiar saying among evangelicals: “Christianity is not a religion, it’s a relationship.” It’s true, of course. In theory, it ought to always be our reality. In practice, however, it is far more often quoted than experienced. It’s frighteningly easy for us to slip out of relationship mode and into religious belief. While most ordinary believers would not consider themselves theologians, all of us have what we call a system of beliefs—a doctrinal statement that probably applies to our particular denomination and certainly to our own view of the Christian faith. There’s nothing wrong with that; in fact, it’s unavoidable. Good theology and right doctrine are essential, and when we speak of Jesus we can’t help but speak theologically. The problem is when our system of belief becomes the substance of our discipleship. And for many of us, it frequently does. I lapse into that mindset often. My discipleship quickly becomes based on a set of doctrines and principles, tenets that frame my thinking and define my interpretation of God’s Word. When that happens, I’ve practically separated myself from my source of life—Jesus. I’ve moved out of the arena of relationship and into the arena of law. I’ve tried to systematize an infinite Person, and that’s a foolish thing to do. Don’t get me wrong: It’s important to study theology and know doctrine. But if our focus is on the principles rather than the Person, we’re no different from the Pharisees of the New Testament. We’ve got a philosophy of life that may be closer to truth than that of the Hindu, Buddhist, Muslim, or other religionist, but it is of essentially the same nature—it’s just a philosophy. Even if it’s biblically based, it’s still an external set of principles. For believers, Jesus is neither external nor a set of principles. He’s an internal presence. Any doctrine we hold should be an outflow of the reality of his life in us. Discipleship must be absolutely fixed on this reality, or it’s not genuine discipleship at all—it’s religion. The difference between religion and relationship is vast in essence but very, very small in distance. We rarely detect that difference until we find ourselves in one of those excruciating crucibles life always seems to bring us. I’ve found, for example, that even the truest principles will not hold my hand in the deep, dark night. Jesus will. Sound doctrine will not warm my heart in the dead of winter. Again, Jesus will. The valley of the shadow of death is not made the least bit easier by good theology. An accompanying Shepherd, however, makes a tremendous difference. But when life is relatively pain-free and circumstances are not particularly burdensome, we can brush aside the presence of the Shepherd while systematic thinking takes his place. The personal is replaced by the impersonal. Living faith gives way to dead theology. Religion rises up in our hearts, right where Jesus once reigned. Have you been there? Have you experienced this transition? If you’re like me, it’s a repeated cycle. We seek Jesus through our understanding of doctrine, when instead we should understand biblical doctrine as it reflects our intensely relational experience with Jesus. One remedy for this problem is to remind yourself regularly that Jesus is alive. It wasn’t a doctrine of deliverance that freed the demoniac; it was a Deliverer. It wasn’t a principle of healing that cleansed the leper; it was a Healer. There’s a huge difference. One approach rests in the mind of man, the other in the Person of God. Christianity is intensely personal. When Jesus called his disciples, he said: “Follow me.” He didn’t tell them to adhere to his teaching or to learn his precepts. He told them to abide in him, and he promised them that his Spirit would come to live in them. He did not give them principles to learn in order to know him better; he gave them himself, and their principles for discipleship came as a result. There are questions we should ask ourselves daily, even hourly, if necessary: Is our discipleship based on the actual, living presence of the risen Jesus himself? Or have we bypassed Jesus and made a priority of the principles we have been taught? Are we in vital communion with the Spirit who authored the Word, or are we simply gathering information as students of the biblical text? Or, to put it more succinctly, is he real to us? I’m convinced that many Christians rarely experience the actual presence of Jesus, spending most of their lives knowing about him rather than relating to him. I believe this because I have seen this tendency in myself and suspect that my faults in discipleship are not highly unusual. I have known some, in fact, who have studied God’s Word their entire lives and have still not encountered God. Knowing something about human nature—mine and others’—I can confidently suggest that, for most of us, it would be a good idea to remind ourselves daily of the personal presence of Jesus and to plead with him to make himself known to us in highly personal ways. And knowing something also about the nature of God, I can confidently suggest that this is a prayer that will never go unanswered. Pray it often. It makes all the difference. Click to tweet: The truest principles will not hold your hand in the deep, dark night. Jesus will. Click to tweet: It’s frighteningly easy for us to slip out of relationship mode and into religious belief. 1. Find a sincere comment or belief by someone out there. Anyone. 2. Ascribe some ulterior motive or naiveté to the commenter or believer, whether you know anything about the person or not. 3. Sarcastically jab at the commenter or believer in order to belittle and potentially humiliate him or her. Do you realize the amazing potential of this formula?! By putting down someone sincere, you can intellectually set yourself above them. You are saying you know better, you have more experience, you see through the smokescreen they didn't see—whether it actually exists or not. 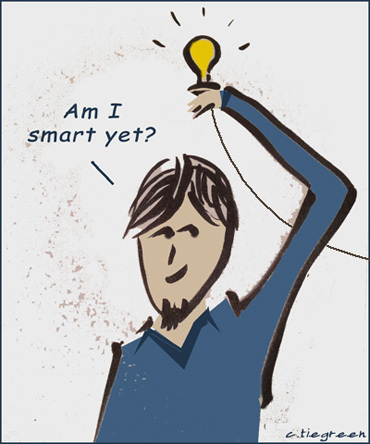 Your short, snarky comment gives the impression that you’re intellectually superior. You must be in the know! Now, before you think, “That sounds difficult; I don’t know if I could pull it off,” let me make it clear that you don’t have to offer any alternative viewpoint at all. No evidence or logic. Nothing. All you have to do is question motives and belittle the viewpoint of your target. And voilá! You’re the smart one in the conversation. Isn’t that awesome? • Researcher C offers up some evidence that supports a truth claim or a faith statement. So you say, “Follow the trail. He’s getting paid by somebody.” The beauty of this one is that it can work in a number of spheres—commercial, political, or religious. • Minister D claims that God healed someone of an incurable disease. There are several options here, so you’ll have to choose one. Obviously, you could say the whole thing is fake, even though you know absolutely nothing about the situation. And you can question the minister for trying to promote himself, though that's been overdone. It’s slightly more sophisticated either to question the diagnosis (“It wasn’t really that disease,” or, “It wasn’t a severe case”) or to question the claim (“So it’s in remission. Big deal—it’ll be back,” or, “Why are there no doctors verifying that?”). This last question could be a bit risky if a doctor does verify it, which happens more often than you might think, but then just question the doctor's credentials. Or the institution who gave the credentials. If you go back far enough, you’ll be beyond the possibility of a credible rebuttal. See how easy this is? In fact, you don’t really have to be intelligent at all. You don’t have to have any details or offer any evidence. You can know absolutely nothing about the situation and still pull this off. Just act like you’re superior and make cynical, sarcastic statements. The world will be impressed. And there are plenty of targets to choose from. There’s a shocking number of people who have genuinely chosen to believe in something rather than nothing. Some of them naively quote the Bible about love being sincere, give their hard-earned money to some goofball religious organization, and forgive people at the drop of a hat when they hear an “I’m sorry”—like apologies are real, right? Ha! The world has no shortage of people who leave themselves wide open for cynics and skeptics to blast them. Don’t worry. This is the exception. Most people don’t know that cynicism is really a cover for lazy thinkers who want to appear educated. If anyone questions you, I’m sure you can find a way to turn it around and make that person look as stupid as cabbage. But most people are more than happy to join you up there in your skeptical perspective. After all, everyone wants to look smart. You know you're called to do something in life, right? God puts no one on the planet just to take up space. He's got plans. But those plans are rarely convenient, and how we respond when we discover them says a lot about our priorities. Last week I came across the following devotional that I'd written years ago. Surprisingly, I sometimes like what I've written in the past, so I figured I'd share this one. Plus, it isn't often that you get to use "fig-picking shepherd" in a sentence, and you've got to make the most of it when you do. So for everyone whose life has been disrupted by God, here's a bit of encouragement. Amos was there in the pasture, minding his own business, when God disrupted his life. “Go and prophesy,” God told him. So a man who had spent his career tending sheep and picking figs was now the mouthpiece of the Almighty. Lives can’t get disrupted much more drastically than that. It fits God’s pattern, though. A shepherd with a multi-colored coat became an Egyptian ruler and sustained God’s people during a famine. A shepherd on the back side of the wilderness was called to give Pharaoh a harsh message and set God’s people free. A shepherd with six older brothers slew a Philistine giant and was anointed as king. And shepherds minding their own business outside of Bethlehem one night were disrupted with an announcement of the world’s most momentous occasion. Why wouldn’t the shepherd of Tekoa become a prophet? The divine Shepherd chose one of his own. God’s choosing a shepherd isn’t remarkable, given his track record. What is remarkable is a shepherd so available to let his life be disrupted by an overwhelming task. Shepherds don’t normally rally a nation around an ominous message. Kings and priests know how to quash such rebels. Only someone who knows God is with him can leave his sheep to call an apostate leadership to task. God is in the habit of disrupting lives. Those of us who insist on fulfilling our plans are apt to miss him when he calls. Our Father enjoys directing his children in unexpected ways, hoping they will choose his adventures over their status quo. The call of a Christian is often no less drastic than the call of a fig-picking shepherd-turned-prophet. Listen carefully to God, be available to his call, and don’t be surprised when he surprises you. Click to tweet: God enjoys directing his children in unexpected ways, hoping they will choose his adventures over their status quo. Jewish thinkers were split on the issue. Some believed God would one day resurrect human beings, others did not. The Greeks believed in the immortality of the soul, but certainly not in a physical resurrection. For everyone, however, the issue was a mysterious, one-day-we’ll-understand proposition. No one—absolutely no one—expected to see a resurrected human in his or her lifetime. Not until Jesus came, anyway. He raised a few people from the dead himself—Jairus’ daughter, the widow’s son, and Lazarus, to name some—but those were temporary resurrections. Everyone knew Jairus’s daughter, the widow’s son, and Lazarus would die again one day. Still, the fact that they could be raised for a time gave hope to eyewitnesses that permanent resurrection was at least theoretically possible. And then when Jesus appeared after being in a tomb for three days . . . This was the earth-shattering foundation of the early community of believers. Jesus’ teachings were profound and his miracles spectacular, but they didn’t define the church. The new movement that began in a small Roman outpost was based on a revolutionary, shocking truth: The specter of death had lost its power. A man, certifiably dead, was now alive. And he promised life to everyone who believed in him. It’s difficult for us to understand, two millennia later, how utterly radical the idea of resurrection was. It was not an illusion of pre-scientific people; Jesus appeared to a lot of people, for many days, and displayed his eternal body. Many who saw him were later tortured or martyred for admitting it. That doesn’t happen en masse with illusions or lies. It only happens with facts. The resurrection validates everything we believe in. Without it, scripture is bold enough to say, our faith is worthless. Those who think Christianity is worthwhile for life in this world alone are disagreeing with Paul; he thought we were pitiful creatures indeed if our faith is only a this-world faith (1 Corinthians 15:19). No, God gave us the resurrection—Jesus’ and ours—for a reason. It’s a promise, a pledge, a validation that our life on this fallen planet in this visible realm is but a tiny fraction of the life we were meant to live. While the rest of the world goes about living for the tangible here and now, we live for a greater reality. While others make investments and hinge their hopes on good returns in a matter of years or decades, we make investments hoping for good returns for eons and ages. While some interpret trials as the things that will make or break the quality of their lives, we interpret everything in terms of how it shapes us to understand God and prepares us to inherit his riches. The resurrection makes all the difference in the world. And beyond. This, in fact, was the point of creation from day one. Genesis is the account of God’s creation, but the cross of Christ and the empty tomb are the account of the re-creation. The early believers were suddenly aware that they were living in a regenesis, the fulfillment of all God had promised, the kingdom that does not pass away. And that knowledge guided everything they did. We often think of the resurrection as an Easter-time phenomenon—an obscure, distant-past miracle that gives us faint, distant-future hope. It is so much more. 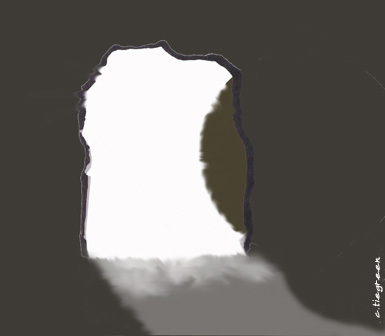 The resurrection validates our faith in the redeeming work of our high priest, who has taken away our sins. It allows us to live with a sense of risk and adventure because it makes us part of a new order of creation that ultimately cannot fail. Our lives are grounded in someone who reigns in eternal victory. If you think about it, this fact changes everything. It changes how we live, how we think, how we plan, how we work—everything. But let it do more than change you; let it define you. Resolve this year to discover the depths of what it means to live a resurrected life. 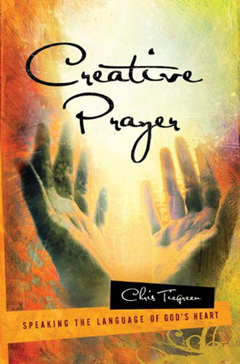 Adapted from The One Year Wonder of the Cross Devotional, © 2009 by Chris Tiegreen, Tyndale House Publishers. According to a recent poll, people are losing faith in the Bible. Actually, that sounds worse than the situation really is; some numbers are trending downward, which isn’t all that surprising. And the overall numbers can be encouraging, depending on how you read them. But compared to a decade or so ago, fewer people today think the Bible is a reliable expression of truth. Some people attribute that decline to an increasingly educated society, but I find that hard to believe. I’m not sure education has improved a lot in recent decades. And in reading comments after various articles about Christianity recently, I’ve been shocked at some of the outrageously ignorant statements out there. It isn’t that people are better educated about Christianity. Popular opinion of our faith is woefully misinformed. Interestingly, there are quite a few people out there touting the virtues of reason while making horribly unreasonable statements like these. But not only are these ridiculously misinformed statements about Christianity circulating out there in blogland. So are some alarming opinions about Christians. Apparently we—not just a few of us, but all of us—are ignorant, illiterate, hateful, bigoted, whining, complaining, paranoid, repressed, superstitious, hypocritical morons who want to shove our faith down everyone else’s throats. Oh, and we’re also judgmental! At least that’s what the people who used all those judgmental words said. So what’s the answer to all this? How can we turn the tide? If people were actually sitting down to talk with us about these things, apologetics might be our greatest strategy. Contrary to popular belief, our faith is eminently defensible. But as much as I love apologetics, I don’t think that’s the key. It might be the key if we lived in an age of reason, but we don’t. It’s an age of reaction. That doesn’t mean everyone is unreasonable; I just think most people make major life decisions (like their belief system) viscerally rather than rationally. They choose sides and then try to justify their position afterward. So apologetics can help someone support what they have already chosen to believe but, with some notable exceptions, are less effective in getting people to change their views. (This is why most people come away from debates thinking their side won.) Apologetics support faith but don’t often provoke it. Whether we like it or not, people choose what is attractive to them. Which means we need to let Jesus be as authentically, visibly attractive in us as he was to the multitudes a couple of millennia ago. I think our best hope is to live unexplainable lives—full, deep, even supernatural. If the life of Christ is observably flowing through us, some people will be drawn to him. Not everyone will; Jesus has always been pretty controversial in every age, and some are offended by him. But some will dispense with their objections if they see the real him. People are hungry for what’s true and transcendent. Not arguments, not judgments, not marketing, but ultimate meaning and purpose. And if they aren’t seeing it in us, that’s a problem. I’m not suggesting better PR or seeker-friendly tactics. I’m suggesting that people will believe the Bible more if we live the Bible more—not a system of rules derived from it, but its substance, its depth, and its power. Otherwise it appears to be an empty promise—a book about new life that, in the reflection of its adherents, may not look very new at all. I've seen too many miracles to think life is just a battle of ideas. Jesus was empowered from another realm, and people who encountered him had to deal with what they saw. His ministry wasn't just a confrontation of worldviews. People can argue ideas all day long, but when they encounter miracles and substance, they are confronted with a reality much more concrete than ideas. They have to make a choice about what they have seen. In an age of reason, you win hearts by reasoning with them. In an age of reaction, you win hearts by giving them something meaningful and promising to react to. If people are reading the Bible less, we have to demonstrate it more. It’s the most effective way to get the truth of God into a world that doesn’t know him. Click to tweet: We need to let Jesus be as authentically, visibly attractive in us as he was to the multitudes a couple of millennia ago. Click to tweet: People will believe the Bible more if Christians live the Bible more. Otherwise it appears to be an empty promise. 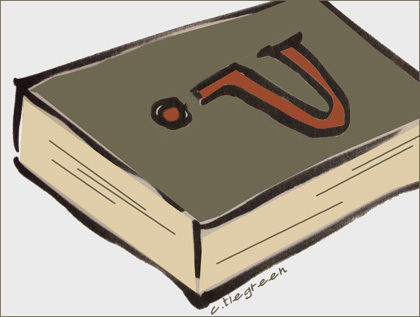 Click to tweet: If people are reading the Bible less, we have to demonstrate it more. A few years ago, I was interviewed on a Detroit radio program about my book Feeling Like God. It became clear early in the interview that the host had not read my book (understandable) or even a clear summary of it (oops). But then I hadn’t exactly looked up his program to know what he was like or to anticipate what kinds of questions he would ask. As it turns out, his focus was apologetics, and he set out to prove to me that we can’t base our understanding of truth on our feelings because truth is absolute while emotions swing back and forth. If I had written a book about basing our understanding of truth on feelings, then he would have resoundingly defeated me in this argument, I mean interview. And he would have been right to do so. But that isn’t what my book was about at all. Even so, I still came across sounding a little defeated because I hadn’t expected the conversation to go in that direction and didn’t quite know how to respond. I expected that the conversation would be what the book is actually about: that even though truth is absolute, relationships grow not by learning facts but by allowing emotions to flourish and reveal each person’s heart. Or, as I like to say, no marriage grows stronger by simply staring at the marriage certificate. (Gentlemen, try telling your wife tonight that you are SO glad your marriage isn’t based on feelings, and see how that goes.) Deep relationships, even with God, involve emotional bonds. Always. So even though I encounter a bit of resistance from time to time in my quest to bring emotions back as a vital aspect of Christian discipleship, it’s still worth pursuing. The church has long touched on a truth about emotions (that they are unreliable) and then carried it to an illogical extreme (that they are unimportant). So I repeat, again, mainly because I have to: We don’t need to get rid of our feelings or even tame them; we need to align them with God’s. And that, believe it or not, fuels our growth in every other area of our lives. 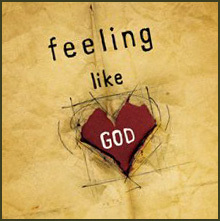 Click to tweet: We don’t need to tame our feelings; we need to align them with God’s. In the original Star Trek series, Mr. Spock made decisions based entirely on logic. That's because he was half Vulcan, and Vulcans don't have emotions. 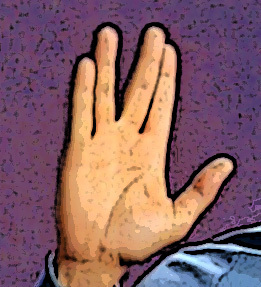 Spock was portrayed as somewhat of an ideal, a valuable member of the crew because he didn’t let feelings get in the way of doing the right thing. Spock’s exclusively logical approach to life found its ultimate expression in one of the Star Trek movies made years after the series. In the climactic battle in The Wrath of Khan, the main engine of the starship Enterprise is disabled, and the ship appears unable to escape an impending explosion. But Spock forces his way into the ship’s reactor room and, fully exposed to lethal streams of radiation, repairs the engine. When his old friend Kirk comes to the window of the reactor room, Spock looks out and explains that it was logical for the one to die for the many. Then he dies, and the ship is able to speed away to safety. Many Christians think that’s how Jesus went to the cross. It was a cold, calculated, reasonable thing to do. After all, his night in Gethsemane makes it clear that he didn’t feel like enduring the agony. And Scripture even affirms that it’s “logical” for one man to die so that many can live (John 11:49-52). But if we asked the writer of Hebrews why Jesus really chose to sacrifice himself, we might be surprised at how this inspired author describes the Savior’s inward motivation. He endured the cross “for the joy set before him” (Hebrews 12:2). That’s right. If Jesus didn’t feel like going to the cross the night he was arrested, why did he? For joy. An emotion. He didn’t replace his emotions with logic; he replaced them with a deeper, better, truer, longer-lasting emotion. Yes, his sacrifice was logical, but logic doesn’t really motivate us. It only has the power to prompt a person to do something reluctantly. Jesus, apparently, didn’t go to the cross reluctantly. He chose it because of the joy it would lead to. At a greater level than his pain, he wanted to. 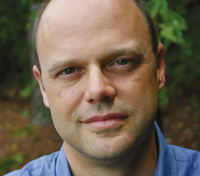 Most of current discipleship training emphasizes the transformation of the mind and the will. It’s all about what we understand and what we do. I think this has created a generation of Vulcan Christians—disciples who live entirely out of their minds and their willful behavior, dismissing the value of emotions. The result is either intellectualism or legalism, neither of which makes life very enjoyable or rewarding. Yes, we avoid the pitfalls of emotionalism, but we sacrifice part of our soul. We don’t really connect with God at a heart level. If you’ve traveled that route, you understand that willpower Christianity won’t get you very far. If your discipleship is invested entirely in your mind and your will, not only do you never really connect with God relationally, you also burn out in a hurry. Willpower doesn’t bear the fruit of the Spirit (which, by the way, is pretty emotional fruit according to Galatians 5:22-23), and it doesn’t last—just note your progress on that last New Year’s resolution, for example. The only time willpower is effective is when it’s accompanied by strong motivation. And motivation, it should be noted, comes from the same root as the word emotion. This is where we bond with God—or anyone else, for that matter. We don’t connect with people over information or circumstances, but rather over emotional responses to information or circumstances. We get to know friends and loved ones only when we see how they respond to the situations of life—especially how they respond emotionally. When you see someone’s tears welling up at a movie or during a song, you learn something about his or her sensitivities. If those line up with your sensitivities, you connect. If they don’t, you don’t. Our sense of connection with God depends on sharing emotions with him. We’re born of his Spirit and being conformed to the image of Christ. His Spirit, according to the Bible, has a full range of emotions, and so does Jesus. If we are filled with his breath and following Christ, we will bond with God emotionally. Misunderstanding the role and the legitimacy of emotions has resulted in many people feeling detached from God. Our relationship with him can’t depend on them, but it also can’t marginalize them. When we operate under a model of discipleship that says feelings are irrelevant, we drain ourselves of the fuel that motivates us. It’s like spraying a potent herbicide over the whole lawn. Yes, it kills the weeds, but it also ruins the purpose of the lawn. You end up with an awfully bare landscape. Many Christians are following Jesus across an awfully bare landscape. But a disciple without strong emotions is a robot, not a disciple. The God who breathed passionately and creatively into his handiwork long ago hopes for the passionate breath to be expressed in a two-way relationship. It’s the only way to be conformed to the image of a Savior whose grief was overshadowed by the joy set before him. Excerpted from Feeling Like God, © 2007 by Chris Tiegreen, Multnomah Books. Click to tweet: When we follow a model of discipleship that says feelings are irrelevant, we drain ourselves of the fuel that motivates us. Click to tweet: A disciple without strong emotions is a robot, not a disciple. The Next Level—Are You Ready? I’ve been teaching the boy how to drive, and it has been going really well. He’s doing great, especially for learning on a stick shift having never driven anything else. We started in an empty parking lot, then moved to neighborhood streets, and then to a mostly-deserted-on-Saturdays office park. Incremental progress, just as it should be. But I’ve noticed an interesting pattern in his perceptions that I think applies to the rest of us too: he never feels ready for the next level. I understand that. It’s hard to put yourself out there when you’re doing something new. 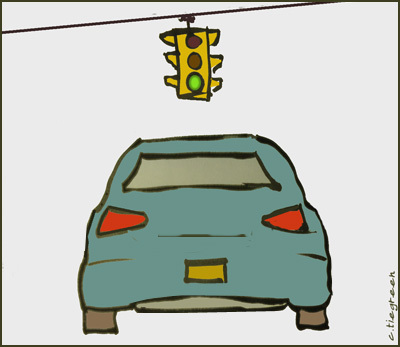 When you’re used to driving on empty streets, it’s a little unnerving to suddenly have cars passing you and crossing your path at intersections. But the only way for him to get comfortable at the next level is to go there—in discomfort—and then get used to it. That pretty much applies to all of us any time we move into something new. What do I mean by “next level”? It’s that next step you’re looking for in spiritual, relational, or career growth. That thing you know God has called you to do, and you wonder why it’s taking so long. That vision for what you’ll do “one day,” if one day ever comes. In any of those situations, you may feel ready in some ways but terribly unprepared in others. And it’s true that God keeps in prep mode for a season. But when the time comes, the only way to move into the next level is . . . get this . . . to actually move into it. 1. You aren’t a good judge of your own readiness. None of us are. I know when my son is ready for the next challenge, but he doesn’t. Sometimes he thinks he isn’t ready, and he’s right. But sometimes he argues that it isn’t time, and it really is. So you may or may not really not be ready for your next level, but even when you are, you probably won’t know you are. You’ll have to follow God’s leading, listen to some other voices around you, trust them, and step forward in faith. 2. The next level is uncomfortable at first. It’s supposed to be, and that shouldn’t be a hindrance at all. Why? Because almost all growth takes place outside of a comfort zone. If my son never drove outside of the deserted office park, he would be awfully limited in where he goes in life. The same is true for our spiritual, relational, and vocational goals. If we stick with what we’re used to, we’ll never be able to move beyond it. We’ll be comfortable. We just won’t be nearly as fruitful. 3. Sometimes the next level looks like a setback. There are times when I’ve taken him driving in areas that look less challenging than the ones he’s already mastered. They aren’t; they require some skills he hasn’t learned yet and get him closer to his ultimate goal. But they look like a demotion, just like many of the experiences we face. 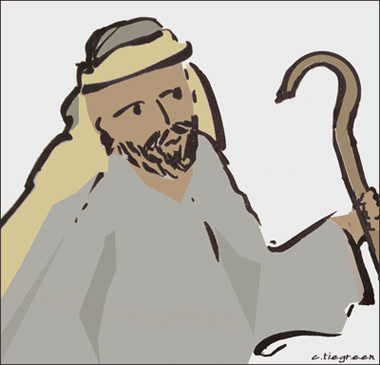 The biblical Joseph, for example, experienced setback after setback after sharing his dreams with his brothers. Every single setback—slavery, prison, being forgotten—got him one step closer to the fulfillment of his dreams. Sometimes our deepest disappointments are promotions in disguise. They are moving us closer to the goal. My son looks forward to driving anywhere he wants to go. He’s hyped about the goal. But the process? Not so much. He doesn’t hate it; he just isn’t wild about it. But his objective keeps him behind the wheel. That’s life, friends. Arriving at the goal always worth the cost of getting there. And very often, probably much more often than you think, you’re ready for the next level. You just need to know the moment and step out of your comfort zone. Click to tweet: Almost all growth takes place outside of a comfort zone. Click to tweet: Sometimes our deepest disappointments are promotions in disguise. The little leaguer steps up the plate. 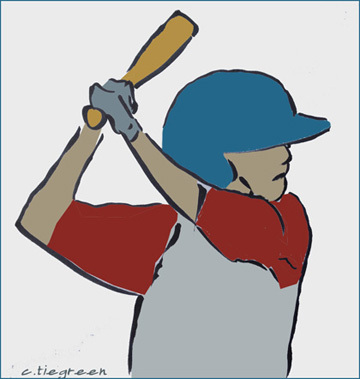 He digs his cleats into the batter’s box, even though the ground is already worn deep and traction definitely isn’t an issue. He takes a couple of loose practice swings with big-league swagger. He spits, even though there’s really nothing in his mouth that needs to come out. He adjusts his pants, even though there’s no equipment underneath that really needs adjusting. He looks like a mini version of a Jeter or a Pujols or a Pedroia. He’d even wear the name if he could. Why? Because, we conform to what we love. Kids do it with their favorite athletes and entertainers. Adults do it much more subtly, but we still adapt to the styles and trends of popular people. Our demeanor, habits, and appearance change. We often aren’t even aware of it; we simply follow our admiration to its natural conclusions. Like they say, imitation is the sincerest form of flattery. And I think it’s also the sincerest form of worship. That, I believe, is the key to discipleship. If we conform to what we love, then the hard disciplines of the spirit aren’t necessarily the best way to grow. I’m not saying they aren’t ever helpful, of course. But while many people are training their behavior to be something it has never before been, some transform into a Christlike image much more organically, simply because of their passion. Instead of tending to their actions, they cultivate their love. And their love produces actions naturally. That doesn’t mean there won’t be trials or pain in our lives. Jesus made it clear that we will have tribulation in this world, and life won’t always be easy. The disciples in Acts made a sobering statement about the kingdom involving hardships (Acts 14:22). But even while Paul and Silas were in prison, they sang joyful songs of praise. Jesus went to the cross not out of discipline but for the joy set before him (Hebrews 12:2). None of them were compelled primarily by their sense of obligation. They were moved by their passion. I’m not saying a sense responsibility isn’t important. I’m saying simply that getting from point A and point B in our lives is usually a matter of moving in the direction of our loves. We grow wherever our hearts are pointed. In fact, people in love will sacrifice an awful lot for the object of their love. And they don’t even consider it a sacrifice. The greatest thing we can ever do in becoming a follower of Jesus is not to focus on the behavior that makes us look like him. It’s to focus on our love. When that grows, we grow with it. And whatever we see him doing will become as natural for us as a little leaguer’s moves at the plate. 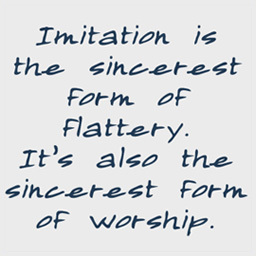 Click to tweet: Not only is imitation the sincerest form of flattery. It’s also the sincerest form of worship. Click to tweet: We grow wherever our hearts are pointed.